Cranston’s Riverstone is distinct: no other community in Calgary lets you escape to a natural enclave, right in the city. Fish Creek Park is just minutes away, thanks to a network of trails that take you from Cranston’s Riverstone to riverside. The unique landscapes surrounding the community are the defining elements of it’s personality. Revel in comfort offered by Riverstone Condo Buildings, Apartments and properties for sale in Calgary. Life at Riverstone Condo Building is about closeness to community and daily conveniences. 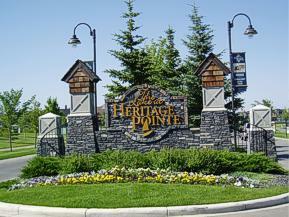 The Riverstone surrounded by parks, communities, condominiums, and retail centers.